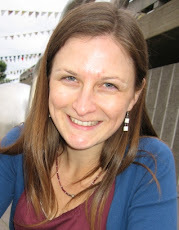 Last week I came across Joanna Paterson’s blog Confident Writing. Joanna started a group writing project asking the question ‘Can writing keep us well?’ I believe the answer is yes! The magnificent thing about being a writer, for me, is that creativity is wrapped up so closely with spirituality. When I write in connection with my spirit I feel ‘out of this world’ so to speak. I seem to disconnect from my physical body and float along peacefully, effortlessly, with my soul. And when I write from my soul the words flow with grace and purpose. It’s still me writing, but I’m writing from a place of serenity. Any issues that I may be burdened with in my life at the time slip away, for a moment, to allow the energy of creativity to flood through me. In that way, writing is very similar to meditation. When I meditate the same thing happens – my thoughts slide away and I am left with a gentle energy that brings peace and relaxation to me. Daily meditation has long been suggested for those seeking a quiet mind and a feeling of tranquillity. I believe for a writer, writing can offer that same sense of well-being. Writing can be like breathing – essential and life-giving. Without air we fade away. Without my writing I can lose myself in pessimism or hopelessness. Writing restores me. Being able to shift my attention away from my worries and anxieties is the true definition of freedom to me. I long for freedom so distinctly that it shapes everything I do in my life. The freedom I seek is everlasting peace and stillness, a break from my chattering mind, and writing brings me pure moments of this. That’s how writing keeps me well.